Frome verließ nach dem 'Anschluss' das Realgymnasium, das sie besuchte, da sie dort zusammengeschlagen worden war. Wahrscheinlich ab 1939 besucht, also kurz nach der Ankunft in den USA. Wahrscheinlich ab 1939 besucht, also kurz nach der Ankunft in den USA. Frome ging tagsüber zur Highschool und abends in diese "business school"
Lebte zunächst bei ihrem Großvater, der ihr die Ausreise in die USA ermöglicht und organisiert hatte. Ca. 1941 zog sie dort aus. Mit dem Zug in einer Gruppe dorthin gefahren, um nach Belgien weiterzufahren. Mit dem Zug dort angekommen. Wegen eines Streiks der Seeleute musste sie dort ca. zehn Tage auf ihre Ausreise warten. NW: This is an Austrian Heritage Collection interview with Mrs. Joan Frome, conducted by Niko Wahl on June 23rd, 1998, in New York. JF: My grandmother was Austrian. 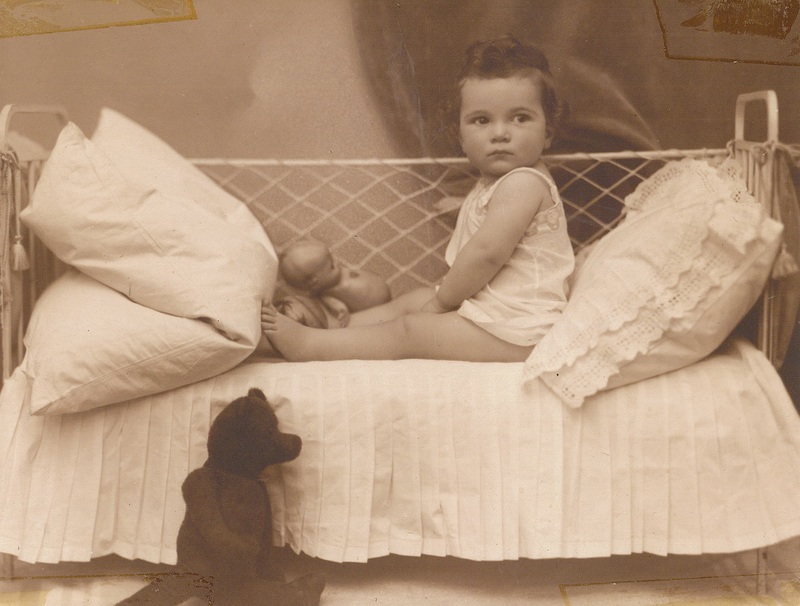 She was born in Graz. 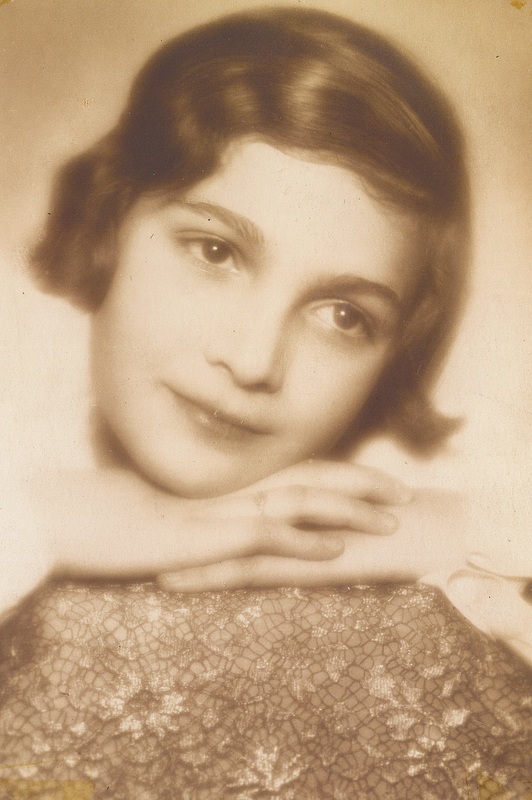 She was a gentile, an Aryan, whatever you call that. 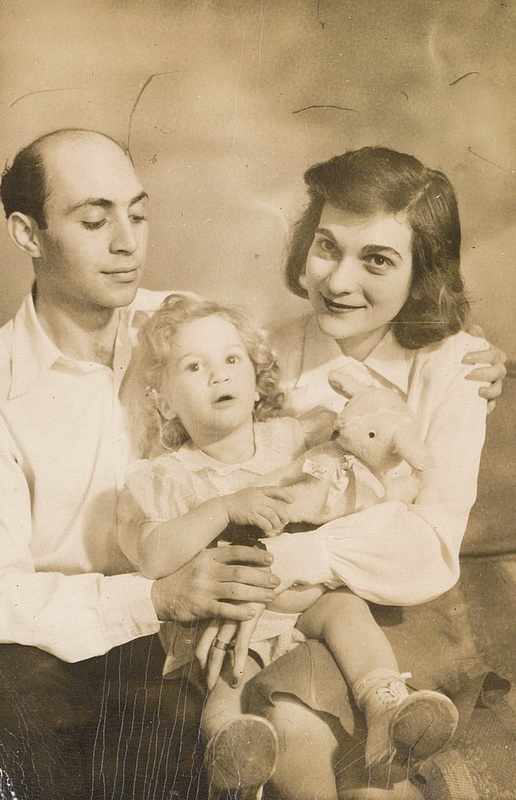 My grandfather was Jewish. I really am not sure where he came from. He came from somewhere in Eastern Europe, but I do not know where. [...] But I do remember…I think I might have been twelve or so, and there was a…we had a little chancellor, [Engelbert] Dollfuß, and I remember, that was a whole thing. There was a Putsch or something, they called it. I remember living…my kitchen window, a bullet got into that. I do remember that quite clearly. And I do not know where it came from. There were some housing buildings that were being bombed…I do not know what they did then…and one of the bullets came into my window. Pretty far, but…we did have that. And I must have been very young at that…I do not when that was. JF: --so I was eleven years old. But I do remember that. JF: --no, it was not on my street, it was much further up, in one of the suburbs, but somehow something came around our way. And my father talked about it, so I do remember that. NW: In 1938, there was the Anschluss. How was your time spent during the Anschluss? JF: I was in the house. I was…my parents would not let me out. I had to only go shopping early in the morning, I was only allowed to go at six in the morning, for one hour, and bought a few things for my family. And after that I was not let out. JF: --no, my other family could go out, because they were gentiles. That was the terrible part. Living on the same floor. Except my uncles, and my cousin…my uncles had two gentile grandparents. And they were married to non-Jews. My mother was married to a Jew. I had three Jewish grandparents. My cousin had one, my grandfather. So after I came back from shopping, she went off. And she never talked to me. JF: --they stopped talking to me. NW: So there was no support from this other part of the family? JF: Very little. I had one aunt, who was very good to us. She did not let anything come between. But the others were kind of afraid, because it was a thread to their safety. And they lived through the entire period and war in Vienna. NW: Were there cousins in your age? JF: One cousin. She is still there. I have cut off my communication with her. I could not face her ever again. It is hard to believe, is it not? You were not anywhere at that time, but it is…it was a very impossible period. It is hard to even talk about it, because it is so incredibly inhuman, that people could be that way. NW: And it is very special for your family, as being…cut in two parts. JF: Cut. On the same floor we lived. NW: The time after the Anschluss, you kept on attending school? JF: I went to school, but I was beaten up in school, very badly hurt by some of my closest friends. And I refused to continue. I told my parents that I just could not continue to go to school. I mean, I was bloodied. And beaten up, and…it was crazy, absolutely crazy. A boyfriend of mine, someone I knew very well. I think his peers put him up to it. So he beat me up. So I did not continue school there. I took care of that when I came here. I could not face it. When I was about…it was in March, I think, I did not go back in September…fifteen and a half. I stayed home with my mother. NW: But this was for a whole year? JF: Well, I left in September 39, so I was home for a year, yes. NW: Can you remember your…how did you leave Austria? You went by train? JF: How did I leave Austria? I left Austria by train. I went through Cologne, and then I went to Belgium. NW: This was in September 1939? JF: September, yes. I went to Antwerp. And there I got stuck. I had four dollars they gave me in Vienna. That is all I was allowed to take out. And I got to Belgium, and there was a strike, I could not leave for the United States, and I had to live in Belgium. 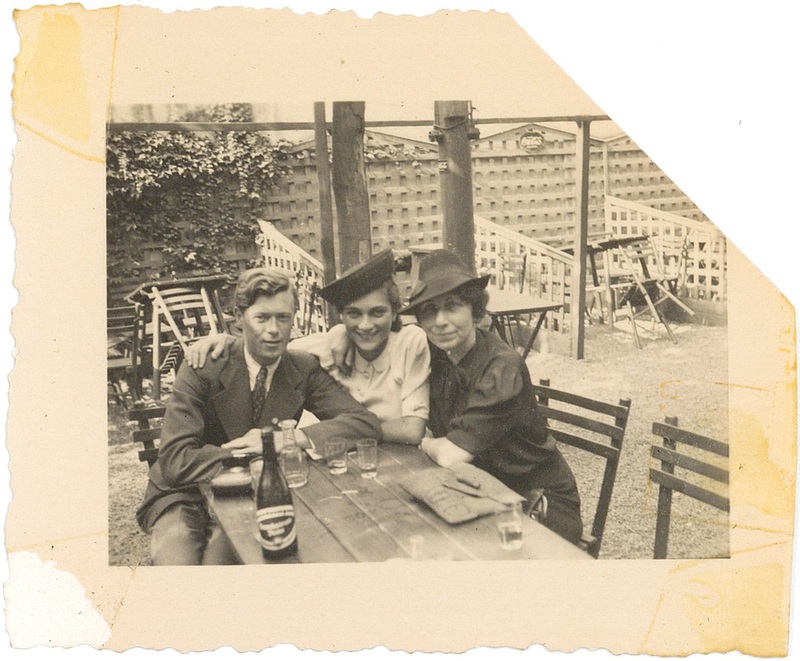 Then I went to a Jewish organization, the HIAS [Hebrew Immigrant Aid Society] and they helped me with food, because…it was crazy: the shipping line I had a ticket with put me up in a room for about ten days, in Antwerp during the strike, but they would not feed me. I think, I had no money to eat, and I had a few choices there, but I did not take them, so I went to the HIAS, and I think I had lunch at the HIAS, and then I had dinner at the hotel. I was sixteen, I want you to know. I did not know very much about life. But I did that. NW: Were you ever confronted with anti-Semitism again? JF: I try to think…I do not think so. The only thing…in the beginning, they did not like refugees. They did not like refugees here very much. I mean, they were like second class, we were not…but then the American Jews became more aware of what was going on, and I think they became very…good about us. And I was taken in, as a matter of fact…while I was living with my grandfather, a family kind of took me in, and I went to their business school – they owned the school – and they gave me an education, in that school. NW: To Austria: Do you still feel connected to Austria in a way? JF: Not at all. If I had a connection, it was until I came back to Austria, and tried to make some connection when I walked into that building of ours, where I spent my whole childhood, and just saw an empty building. With people who totally ignored me, and there was nothing. And I found it totally…just another place. NW: So you would say you have an American identity now? JF: I think so. If I do not have it, I would like to have it. But I do not have an Austrian identity. The only time I feel bad is if I read things about Austria that upset me, and I will say to my husband: “You see, that is where I come from.” When I see something that is despicable that happens. When I read about [Kurt] Waldheim, and when I read about certain things, then I say: “I mean, really!” But I put myself away from this. Entirely. I find it…I guess it is a kind of defense mechanism. NW: And did you ever try to get things restituted, which were gone by applying to the Austrian state? JF: I did. And I am getting it. NW: When did you do this or when did it work? JF: When I found out that I was able to do it. Maybe in 91. I get social security. I think it is called social security, or whatever…from the…at the…something or other it is called in Vienna. I guess, if I would have worked in Vienna, that is what I would have gotten when I turned 65. And so they are paying that to me, they are doing that. JF: --yes, in certain age groups, is that the one? JF: --yes, I got that. I was in that. JF: --did not make me angry, but my daughter calls it blood-money. She does not feel that…and I know some people, who would not take it. But I said to myself: “I will take it.” Because why not? If they denied me my life there, and my education there, at least I am entitled to…whatever they want to part with now. I mean, it is very little, considering of what I lost. I could have had a good life and good potential there. I was on my way to…I do not know what, but…so the restitution does not amount to much, but I guess it makes them feel better. It is sort of getting the guilt off. 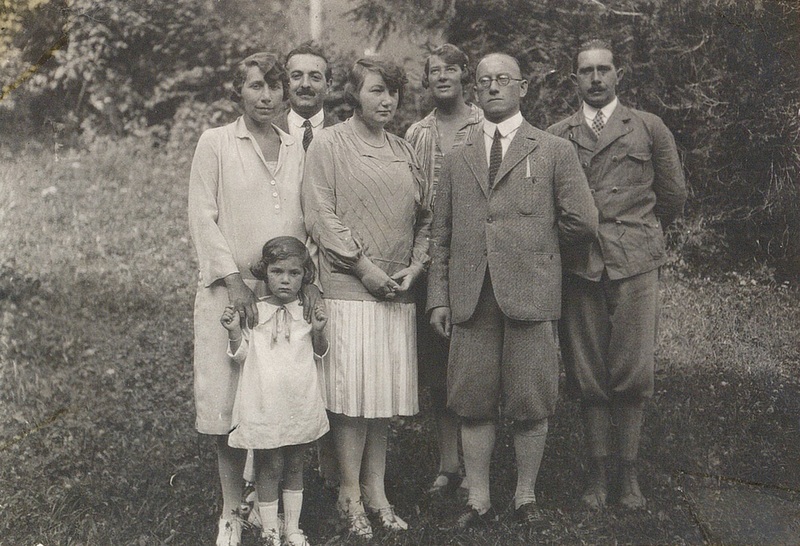 Fromes Eltern, Grete und Ferdinand Schwarz, undatiert. Frome mit ihren Eltern, Tanten und Onkeln, 1927. 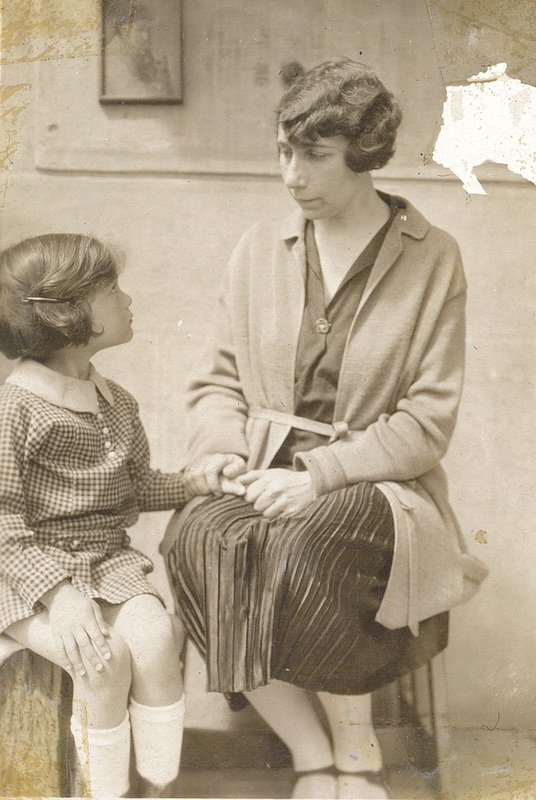 Frome mit ihrer Mutter Grete Schwarz, undatiert. 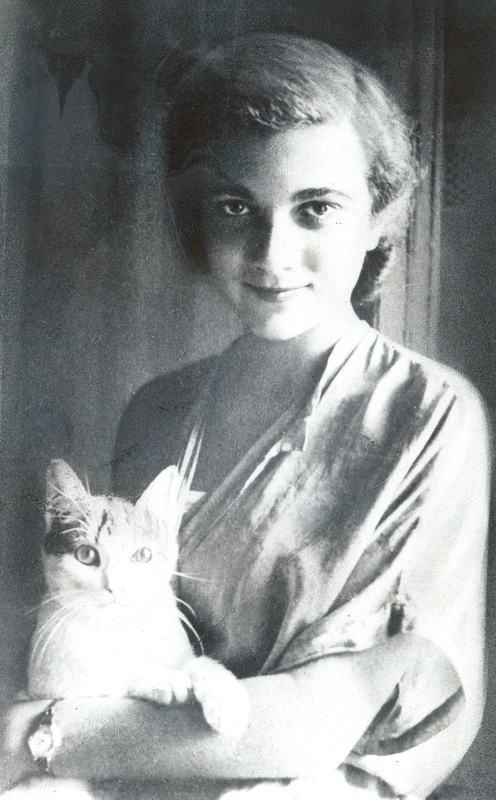 Frome mit ihrer Katze Peter, 1939. 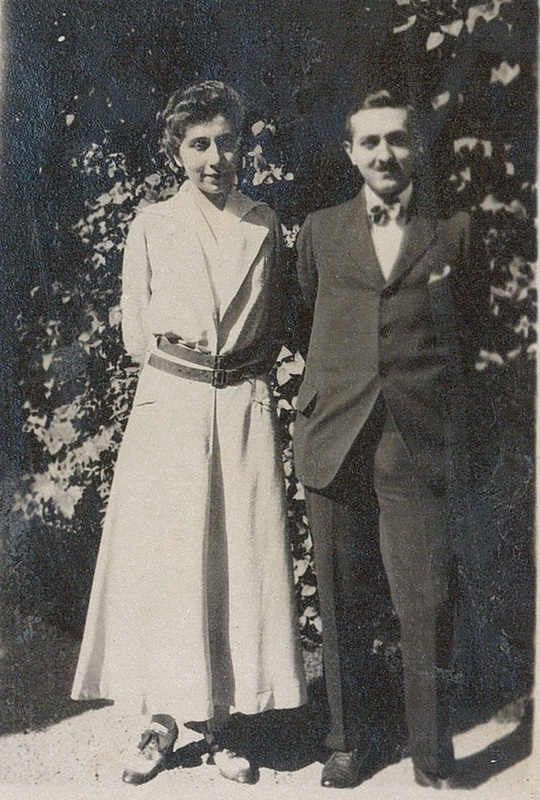 Frome (Mitte) mit ihrem Freund Helmut Korst und ihrer Mutter Grete Schwarz, 1939. 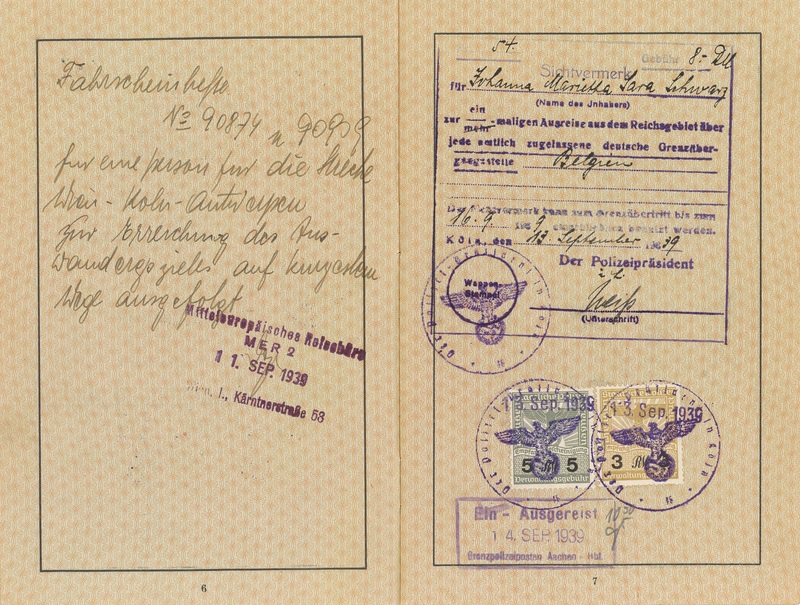 Fromes Reisepass (S. 2/3), 1939. 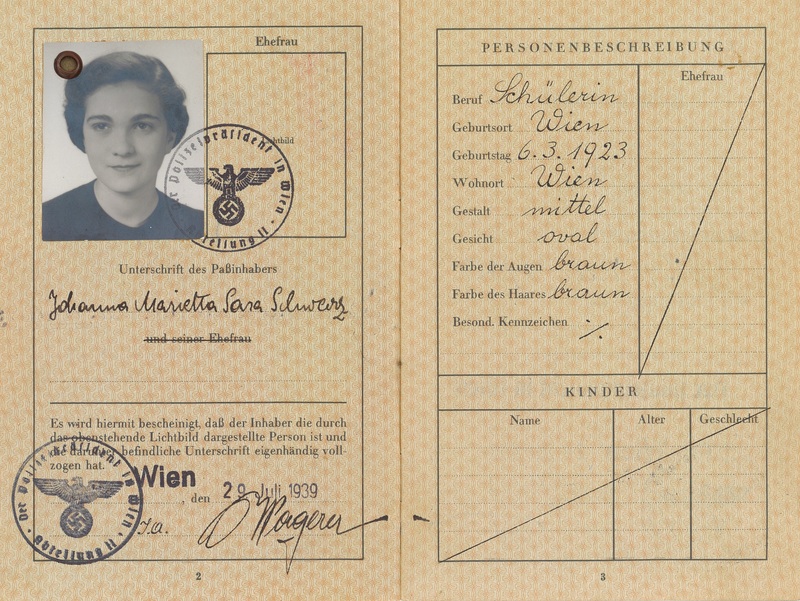 Fromes Reisepass (S. 6/7), 1939. Fromes Reisepass (S. 30/31), 1939. Frome mit ihrem Mann Leo und ihrer Tochter Kathy, USA 1947. 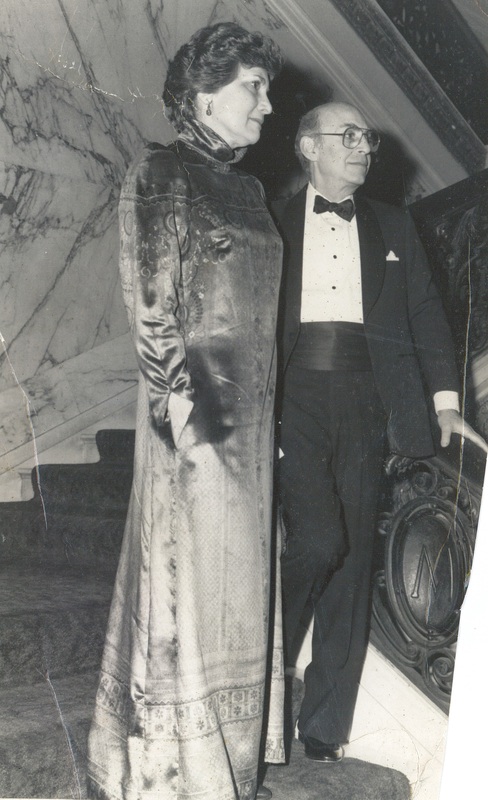 Frome und ihr Mann Leo im Metropolitan Club in New York, 1984. In diesem Interview wäre z. B. ein spannender Ausgangspunkt, dass in Fromes Fall der Antisemitismus durch die Familie ging, die Familie mütterlicherseits nach dem 'Anschluss' mit der Familie väterlicherseits nichts mehr zu tun haben wollte; nicht einmal Fromes Mutter, die dann in Auschwitz ermordet wurde, wurde von der Familie unterstützt. Zudem sind die Passagen zu Antisemitismus und Arisierung anschaulich, finde ich. Und vielleicht ist hier auch besonders die Emigrationsroute und die Ankunft in den USA spannend (Frome floh im Alter von 16 Jahren; sie wohnte dann zunächst bei ihrem Großvater in NYC, der eine neue Familie gegründet hatte). Ergänzung Passagen Antisemitismus (Tom): Hier fände ich ihre Erfahrung mit Antisemitismus in der Schule und die Frage nach Antisemitismus in den USA für besonders spannend für die Pädagogik.